Inspiring spaces and amenities to grow your business. Herspace was created with the fundamental idea that empowered women empower women. 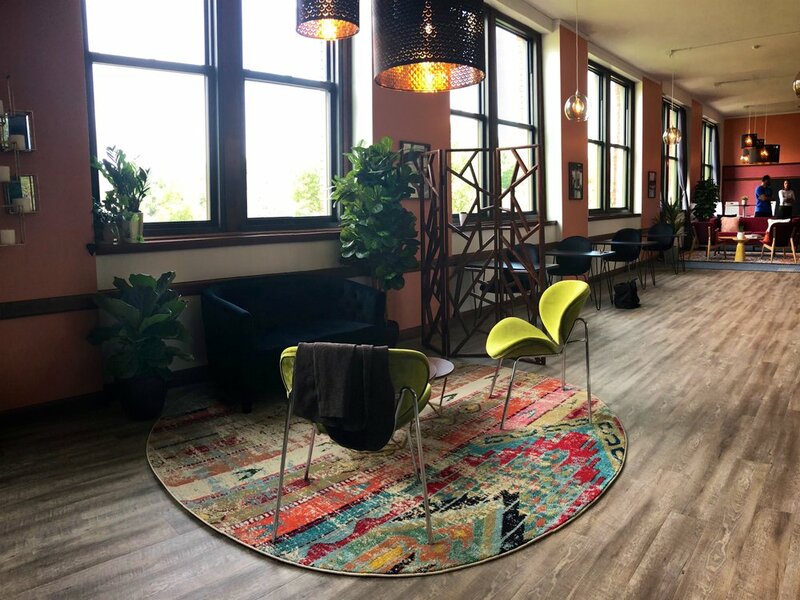 The space is designed intentionally for women to connect, collaborate, curate creativity, and change the status quo together. Join Herspace and enjoy regular access to special events and interesting programs every week. To curate a women-centric space within Plexpod, with an emphasis on programming that inspires, engages, builds community and promotes discovery for all women, and anyone who identifies as such in a significant way. For more information on upcoming Herspace programs and events, follow @Plexpod on Facebook, Instagram, and Twitter for the latest updates. Short-term plans that keep things flexible and pricing to meet every budget. For more information on our spaces, please call 1-844-PLEXPOD. From concierge services to fresh coffee, inspiring commons to event spaces, Herspace provides all-inclusive amenities that are meaningful and over the top. Included with every membership plan! The Plexpod member community mobile app is exclusive for members. The app is used by members to connect with the community via the online message boards, search the members directory, search by company, and even book meeting rooms remotely. Members can also create a profile to share with others and easily manage their member account. The app also allows you to book meeting rooms at any Plexpod location. And Member resource hours are always available to be used at any location, at any time, by using the app. Download the app, log-in, and get started today! Choose from open desks, private desks, team spaces, small to large meetings rooms, photography studio, or our event spaces. Contact us today to book space for your next office, meeting, photography shoot or event!